In this podcast lesson, ICIP instructor Bruce Sinclair provides an example of a digital twin in IoT and explores how to construct a digital twin for any connected part, product, system or environment. A digital twin is a virtual representation of a product or system -- an exact copy of a physical object or process -- that can be used to simulate the product's or system's capabilities. Digital twin models are possible at the part, product, system or environmental level. IoT digital twins are important for understanding how a connected device or system works, to facilitate product and system development, and to perform product lifecycle management. Each IoT product, system or environment should consist of one or more digital twins -- the root of digitization. Each digital twin in IoT is part data and part model. The data component consists of metadata and raw data, while the model component consists of meta models and analytics or AI models. 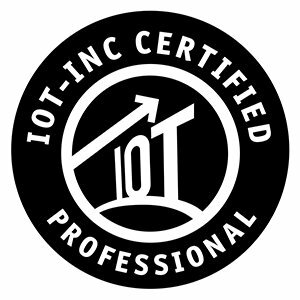 In this excerpt from the IoT-Inc. Certified IoT Professional (ICIP) IoT training program, instructor Bruce Sinclair offers an example of a digital twin in IoT: a spring. The simple equation F = kX represents the functionality of the spring -- apply a positive force and the spring will elongate; apply a negative force and the spring will compress. Although this meta model explains how a spring works at a high level, it isn't accurate enough to describe how it works in the real world. Listen in as Sinclair explains why, for more accuracy, we need more data -- which will be collected by the IoT product's sensors and external systems. This raw statistical data is saved as the IoT digital twin's data. The twin's metadata is a high-level description of the spring -- including the size of the spring, the gauge of the spring and the material it is made out of. In an IoT system, the raw data can consist of hundreds of thousands or even millions of points, making it impractical to compute. Therefore, we derive a model that is a product for the raw data points. Whereas the high-level meta model for the spring is a linear equation of the digital twin's model, even in this example it can be highly nonlinear, the degree of which depends on the accuracy needed. From the example of a spring, Sinclair says, IoT digital twins of even the simplest products are non-trivial, central to the digitization of the physical into the virtual. How has your enterprise used a digital twin in IoT?